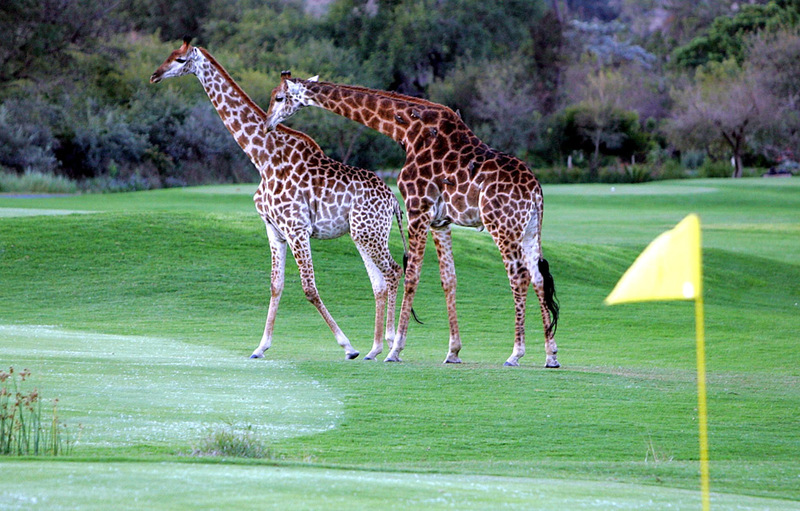 If there is a golf course in heaven, then it looks and plays just like Leopard Creek. 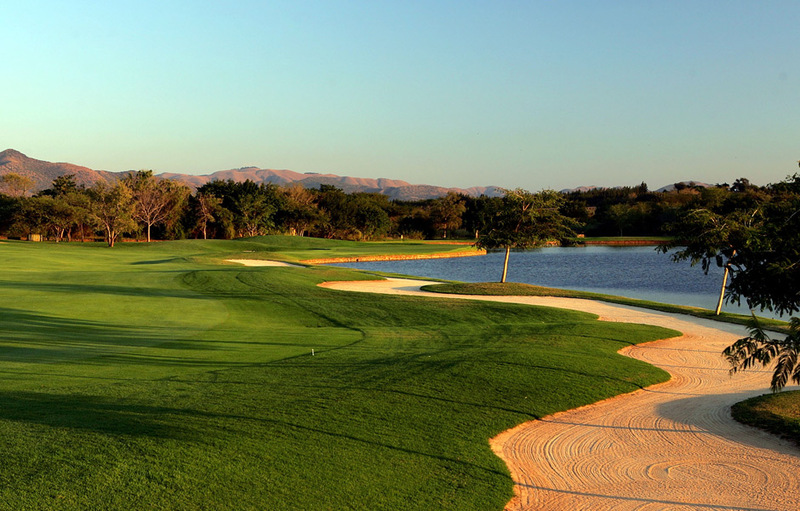 Set under the great African sky, bordering the Kruger National Park, in the heart of Mpumalanga, Leopard Creek will tick all the boxes on your list of the ideal golf course. Johann Rupert and Gary Player had a vision of a perfect golf course. It should be one on which friends could come together for enjoyable 18-holes; yet also challenging and stimulating enough for the world’s top golfers. The course should also be unobtrusive; blending, complementing and enhancing the environment in which it was created. 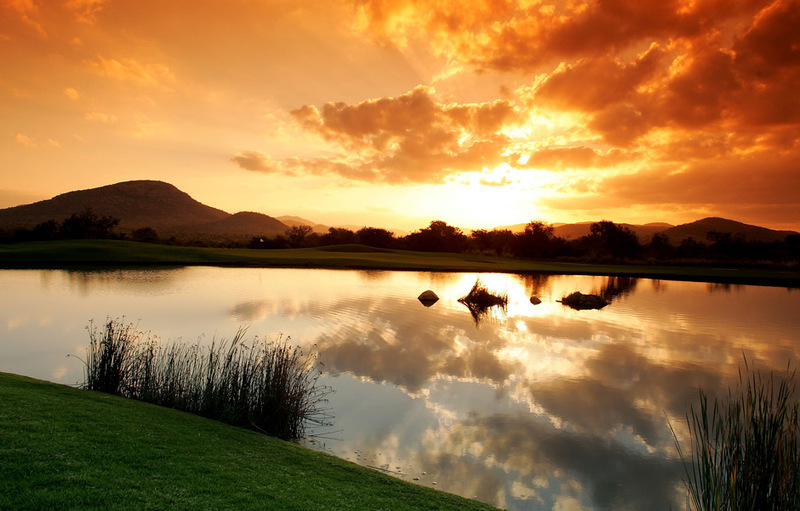 In 1996, Leopard Creek Country Club was born and today stands testament to their shared vision. 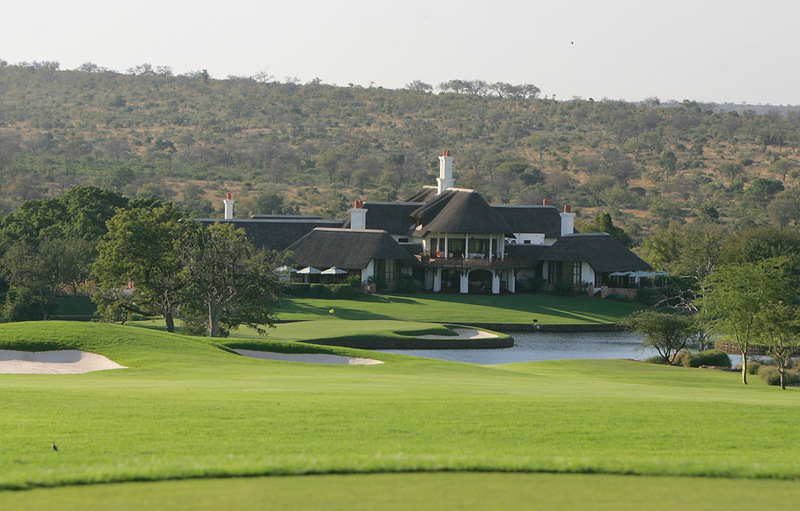 Leopard Creek is currently rated as the No 2, Golf Course in South Africa by Golf Digest for 2014. The course has held on to the top spot for six consecutive years, with the exception of 2011 & 2014 where it ranked 2nd on the Top 100. It is ranked 80th on the 2011 World Top 100 ranking list. 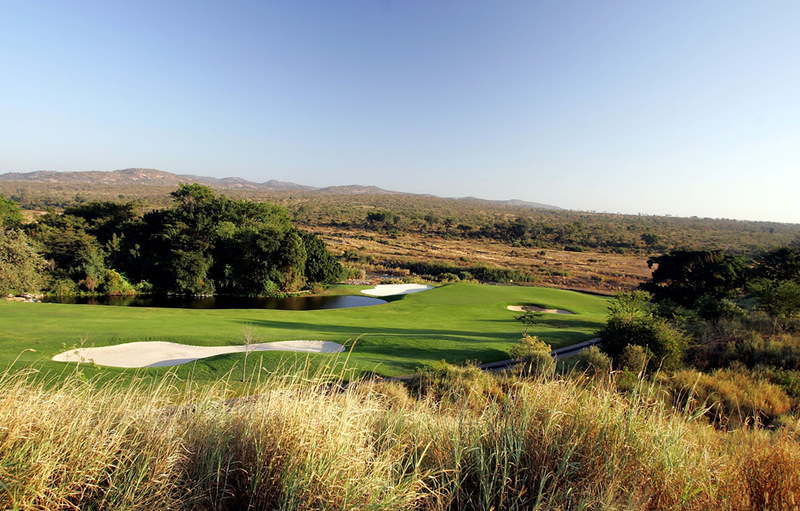 The course designers worked closely with the Kruger National Park and nature conservation authorities to ensure the design blends in with the natural surroundings and allows residents and visitors the opportunity to experience the abundant beauty of the African bushveld. Both the golf course and living areas blend harmoniously into the surrounding landscape and are naturally protected from the local fauna. Lakes and small streams diverted though the development create scenic vistas and more than a few challenges on the course. The par-4 3rd hole commands respect and an errant tee shot can be punishing on the slightly uphill fairway. There’s a dangerous bunker guarding the right hand side of the green on the 4th and while you should try to leave yourself an uphill putt, there are rewards for the adventurous golfer. On the 5th hole a wayward tee shot could result in a bogey or worse, while the 7th hole is a challenging par three with an elongated green, wedged between sand traps and a treacherous lake on the right side. On the 9th hole you’ll begin on an elevated tee and wind your way down to a generous landing area splintered by two fairway bunkers to face a green embraced by water and bunkered by sand. The signature hole at Leopard Creek is the 505 meter, par-5 13th hole. The green rises 32 meters above the Crocodile River offering breathtaking views up the river and into the Kruger National Park. Course designer Gary Player is especially proud of the par-5 18th with its island green and the par-four 9th with its peninsula green jutting out of the same body of water. You’ll find the Leopard Creek Clubhouse on the banks of the Crocodile River, with the lounge leading onto a covered patio where you can either watch the play on the 9th and 18th greens while sipping a leisurely cocktail or enjoy superb views of the wildlife in the Kruger National Park. A second terrace allows guests to take in the spectacular sunsets over the Crocodile River. 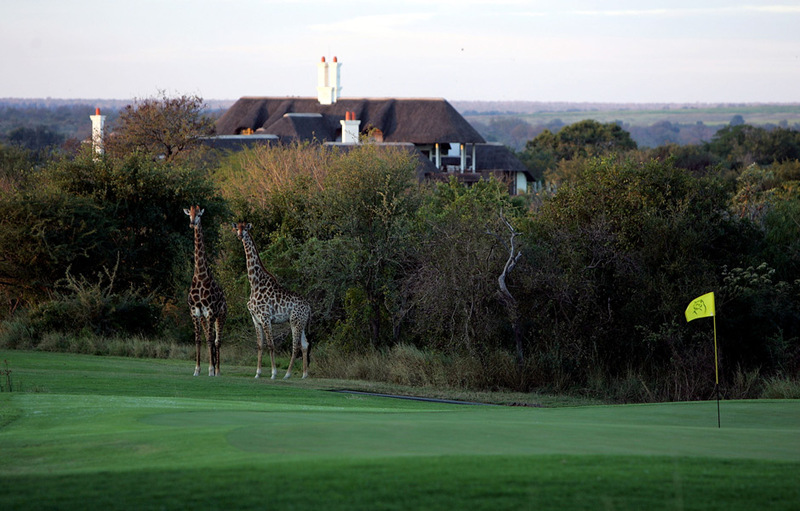 The resident wildlife in the Country Club form part of the main attraction for visitors who can enjoy sightings of crocodile, hippos, antelope, buffalo and wild boar either on the course or next to the Crocodile River which runs alongside several holes on the course. Leopard Creek is a paradise for bird-watchers, who can spot over 200 bird species in the indigenous trees, some of which are hundreds of years old. Visitors accompanied by qualified game rangers, can view the abundant wildlife, including the Big Five (lion, leopard, elephant, rhino and buffalo) either on guided walking trails or open Land Rovers. When you’re not on the course there’s plenty to do at Leopard Creek, with a wonderful recreational facility with gym, pool, tennis, water slides and of course great game viewing and bird-watching options.